Here are just a few stories about the wonderful children and their families that we have been honored to help. 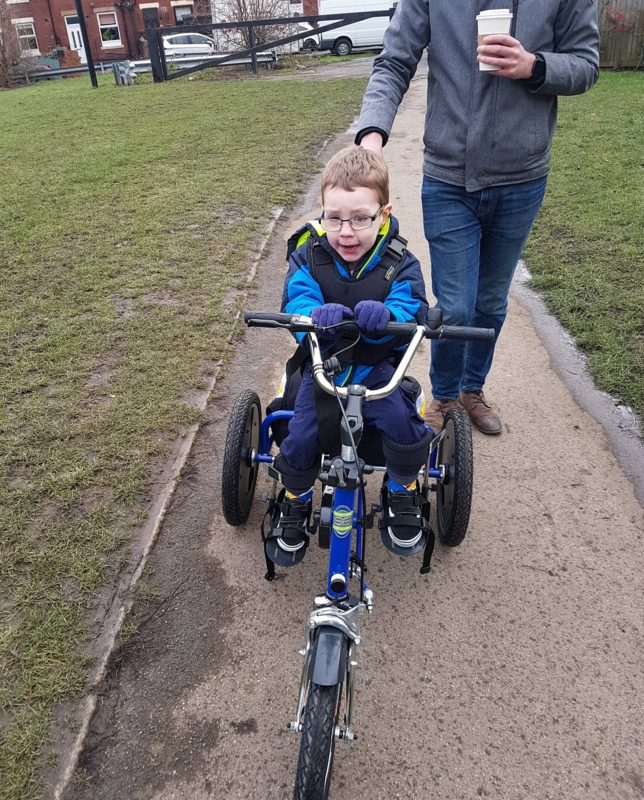 We just wanted to say a huge huge thank you for everything you have done for phoenix and helping us fund him a trike! We managed to get the technician from the company to come and adjust it all for him last week so he had his first go on Sunday and it lit him up so much. He had the most amazing time and it was lovely to see him so happy and enjoying himself. He even managed to pedal a little by himself so I think I’m going to have to get my running shoes on to catch him up! You and the team have made a little boy so so happy and we can’t thank you enough! My daughter Dixie was born with a rare genetic condition called Trisomy 9 Mosaic. She has been affected by this in a number of ways, one of which is a lack of mobility. 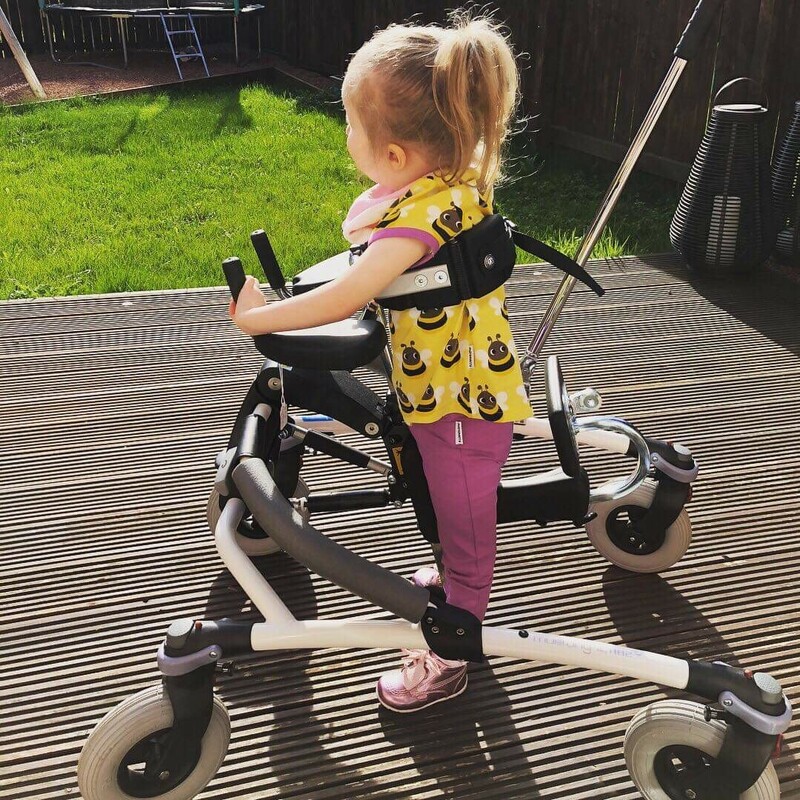 At 3.5 years old, we had a trial of walking frames but with a unaffordable price tag we just couldn’t fund it ourselves. That’s where PhysCap came in, after I was encouraged to apply for the funding from then. From start to finish, PhysCap were amazing. Dixie and I met with a couple of the committee members in our home and felt very comfortable chatting with them. Within no time at all they contacted me to tell me they would fund the walker. It was such a huge relief to be able to give Dixie a piece of equipment that could help with her mobility and independence. Dixie now uses her walker every day at school and is getting so much stronger and confident because of it. I can’t thank them enough. Emily got transverse myelitis when she was 16 months old. She was parolised from the neck down. 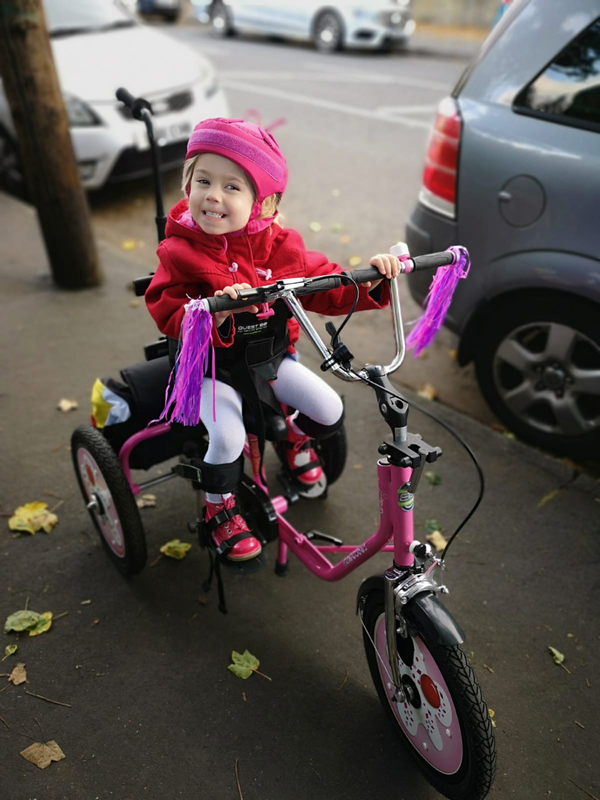 She has had a fantastic recovery so far but still has weakness in her limbs, and is unsafe to ride a normal bike. PhysCap helped us to get a bike, which helps her to build strength and allows her to safely ride a bike with her brothers and sisters. 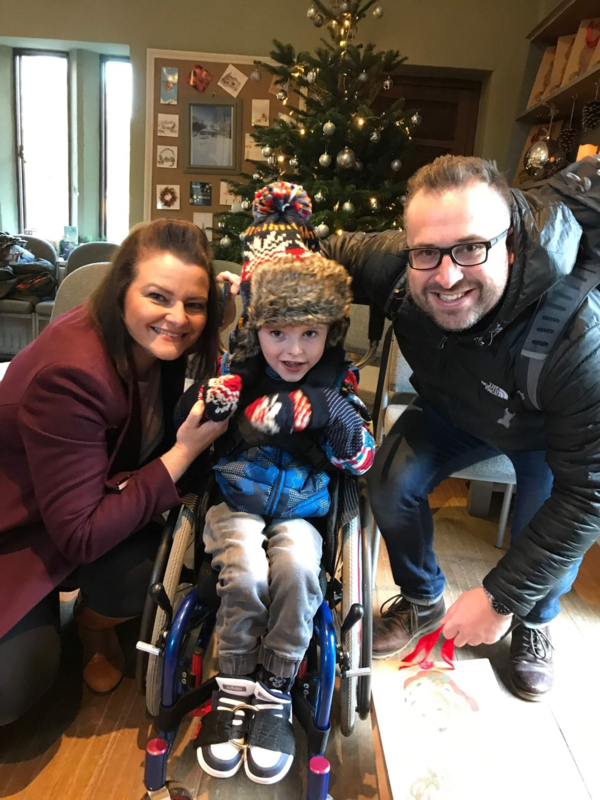 We are so grateful to Physcap for the support they have given us and our son Oscar. Oscar has severe cerebral palsy and has no independent mobility. Thanks to PhysCap’s generosity we were able to get him a custom-made, state-of-the-art wheelchair. The chair gives him a level of independence that would have been impossible from the NHS supplied chairs. It allows him to interact with his peers and his surroundings in a way that he never has before. Having something so cool has made him the envy of his able bodied friends and meant his confidence has grown and grown. Without the help of groups such as PhysCap, young people like Oscar would find their life chances and experiences limited and we cannot thank them enough. PhysCap Children’s Charity collects and uses information about people with whom it communicates. Registered Charity 512422. Copyrights © 2019 PhysCap. All rights reserved.